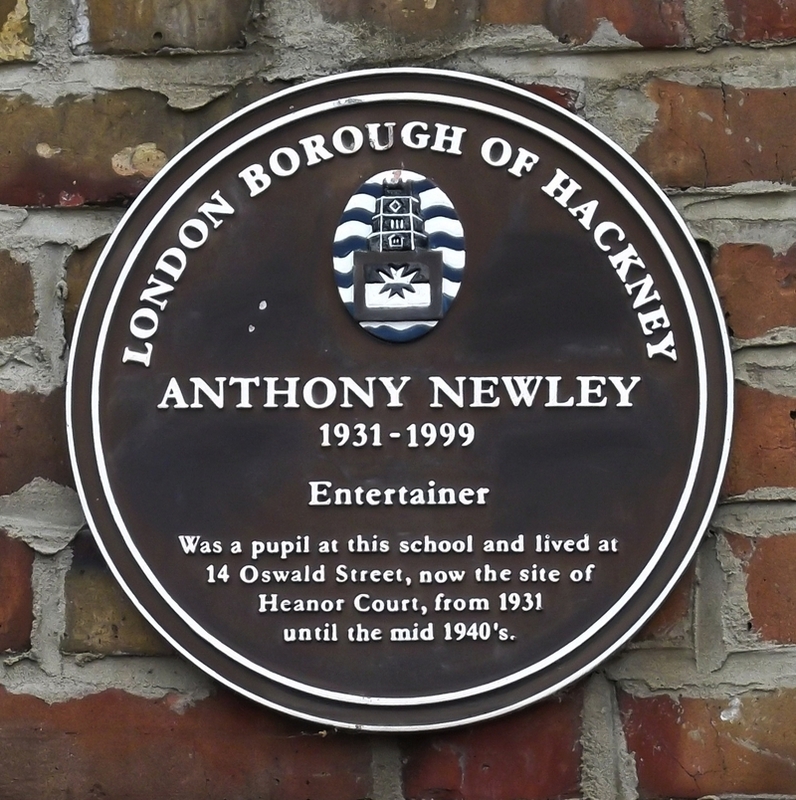 Anthony Newley, 1931 - 1999, entertainer, was a pupil at this school and lived at 14 Oswald Street, now the site of Heanor Court, from 1931 until the mid 1940s. This 1913 map shows that Oswald Street used to extend down to Rushmore Street. 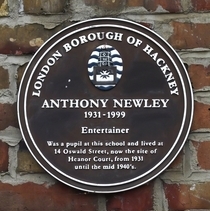 That southern section, where, according to the plaque, Newley's number 14 used to be, is now built over by the block of flats, Heanor Court. All these streets probably used to be late Victorian terraced housing, but it's all gone. The nearest we could find was to the west of Glyn Street.